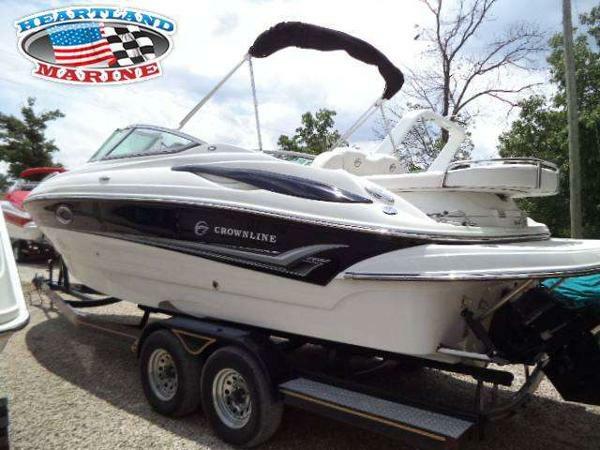 2008 Crownline 260LS, LOADED 2008 Crownline in EXCELLENT shape!!! 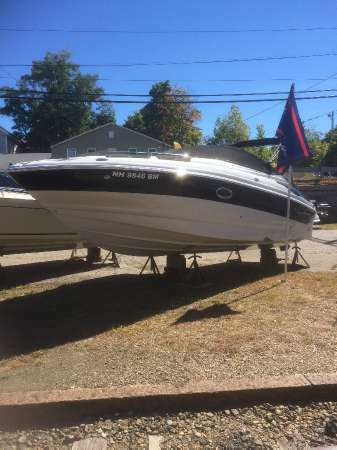 Features a upgraded 496 MPI BR III Mercruiser, 15 gallon fresh water tank, head, battery charger, snap in carpet, snap fit cover, Sony marine stero with aux input, pressure treated marine panels with transferrable lifetime warranty, extended swim platform, depth sounder with outside air and water temperature gauges, arch. ONLY 159 HOURS! 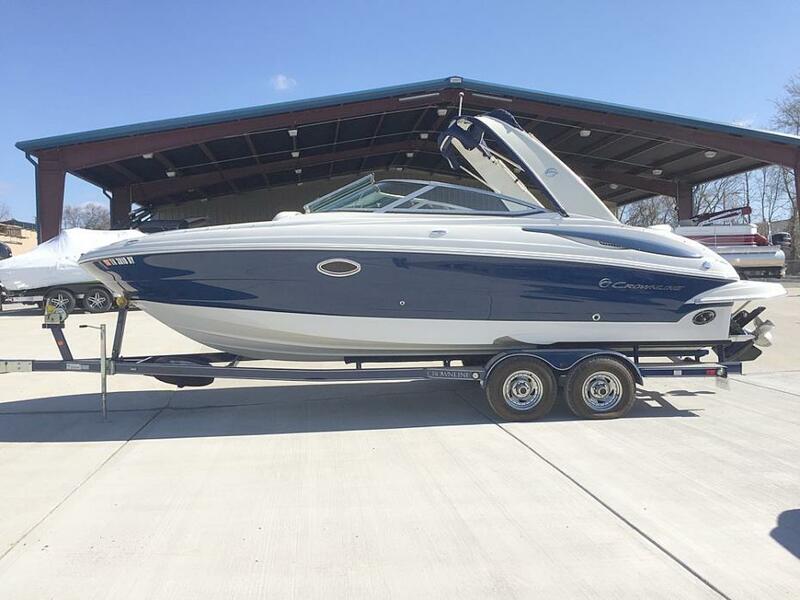 2006 Crownline 260 LS Brokerage: 2006 Crownline 260 LS with a 350 Mag MPI and Bravo 3 drive. 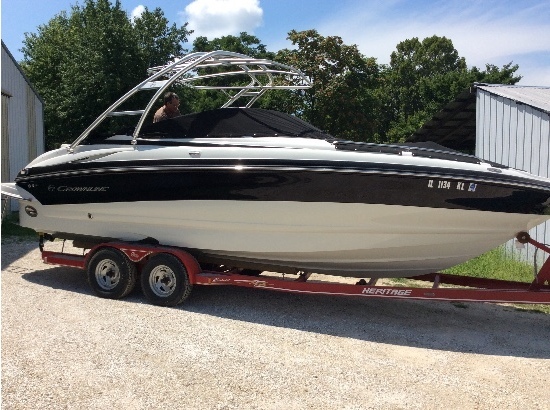 This boat just came in and is in nice condition. 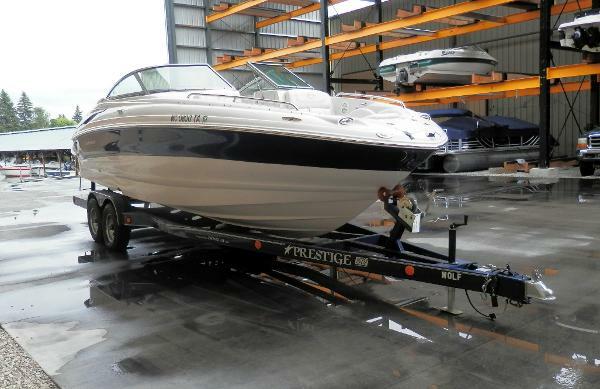 This boat is a freshwater boat that has always been professionally maintained and stored on land. The Crownline 260 LS is a great running boat with enough size for bigger water and plenty of seating. Additional features include mooring cover, full canvas enclosure, snap in carpet, head with porta poti, stereo system, prestige trailer with brakes and much more. Brokerage boat so no tax to MN boat buyers. 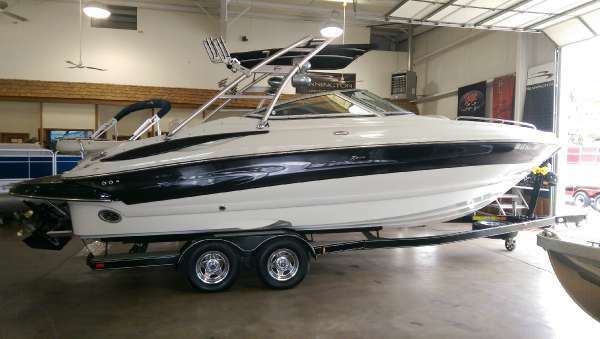 This boat is stored in doors up at our facility so feel free to stop by and check it out. 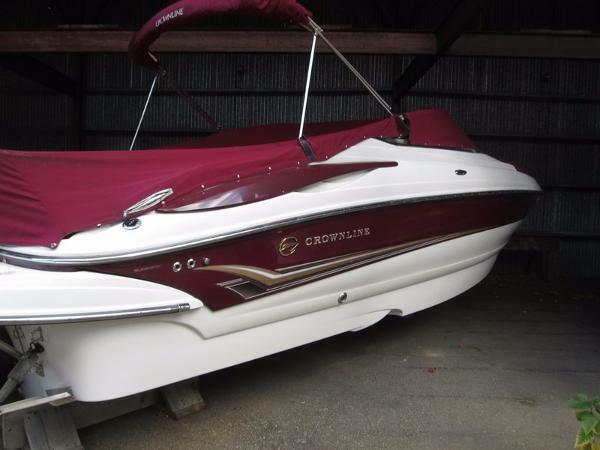 2009 Crownline 260 LS Make lasting memories on your 260 LS bowrider. The U-wrap cockpit boasts a comfortable 14-degree recline and creates an entertainment and conversation-friendly seating area. This boat has a 15-gallon fresh water tank and an enclosed head (porcelain, not plastic) with sink. 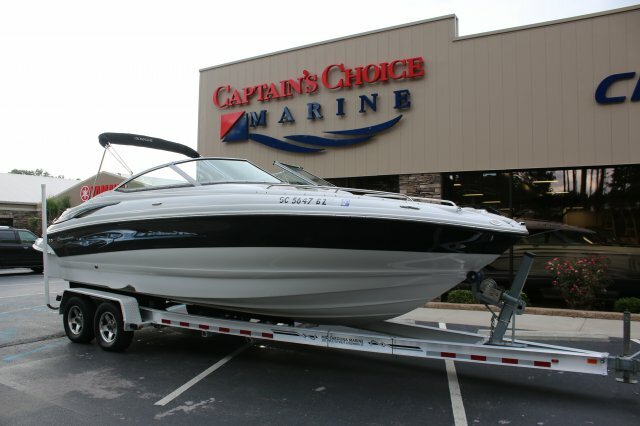 And there's plenty of storage for all your boating toys and gear. 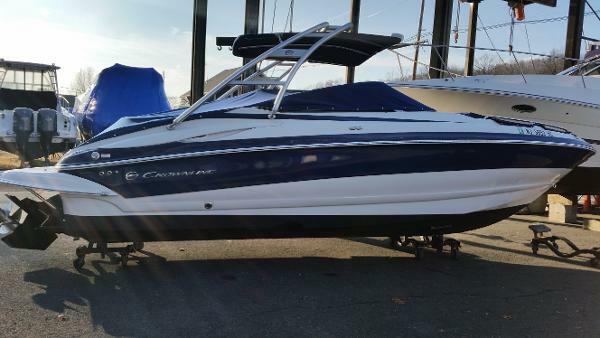 2008 Crownline 260 LS Great condition, low hours, nicely equipped! Good deep boat with very smooth ride for bigger lakes, even in rough water. 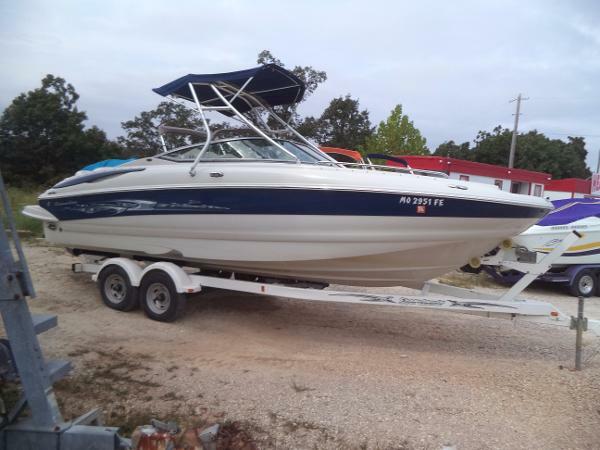 Tons of storage space, wake tower, bimini top, captains call, etc. 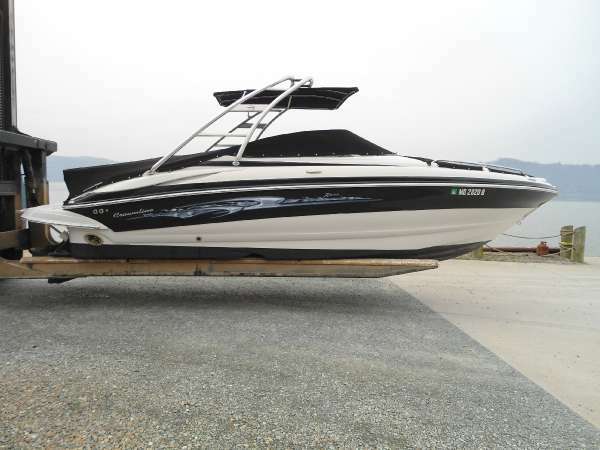 This boat has been very well kept and is in great condition! Trailer not included at this price. Relaxing with your family and enjoying all that nature has to offer. That's what it's all about. Enjoy endless experiences and make lasting memories on your 260 LS bowrider. The all-new U-wrap cockpit boasts a comfortable 14 degree recline and creates an "entertainment and conversation friendly" seating area. The very deep freeboard design provides a comfy ride and added security for small children. Bow "hot tub style" lounge seats conform perfectly to your body and there's plenty of storage for all your boating toys and gear - the most spacious in-floor storage of any boat below 27 feet! 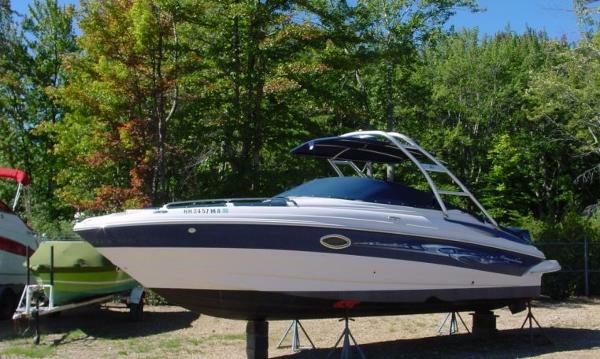 - 26' Crownline 260 LS. Great Condition, low hours. 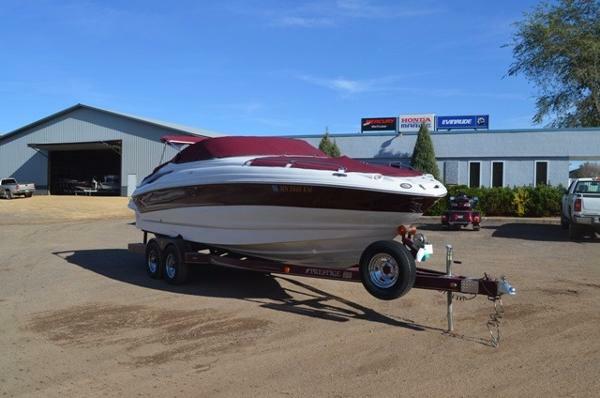 2007 Crownline 260 LS 2007 Crownline 260 LS 2007 Crownline 260 LS with a Mercury 350 Mag MPI 300hp engine with 211 hours. This boat has a walk through transom, bimini, large swim platform and sunpad over engine bay with convertible back rest, enclosed head with holding tank, Ritchie compass, Northstar Explorer 538 plotter, Faria depth, Sony stereo, navigation lights, anchor lights, dual battery, 14 person capacity, Seafire auto fire extinguisher in engine bay, full instrumentation, docking lights, pop up cleats, Lenco trim tabs, full mooring cover, 2 swim ladders (bow & stern), bolstered helm & passenger seats and snap in carpets. This boat has been on Lake Winni it's whole life. 2006 Crownline 260 LS Built on Crownline’s exclusive F.A.S.T. Tab hull, the 260 LS is loaded with dazzling quality features. Helmsman and passenger seats are flip-up buckets on Tri-Tech suspensions. For ease of handling there's rack and pinion steering linked to a tilt steering wheel. All instruments are handsomely trimmed with stainless steel bezels. In the lounge area, aft bench seats convert to a 6-foot sundeck. There's a wrap-around swim platform, bow and stern swim ladders and much, much more. She is well powered a 350 MAG MPI Mercruiser and propelled by the Bravo 3 drive system. Featuring options such as snap out carpet, shade top, dual batteries with switch, safety hatch lift, power engine hatch, dual bow recliners with flip up arm rests, twin captain chairs with bolster, enclosed head, and more-this baby is ready for summer time!